Simon Heather is a highly experienced healer. Over the past twenty years Simon has been practising and teaching sound healing and shamanic healing. Many thousands of people from all over the world have benefited from this form of healing. 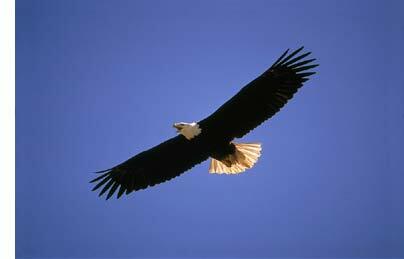 When we experience deep physical or emotional trauma part of our spirit may separate itself from our body. This part of us may then live on another plane of the Earth where it feels safe. When this happens to us we no longer have access to that part of ourselves. Soul loss is a common occurrence in childhood particularly if a child has been abused or traumatised. Soul loss can also occur with the death of a loved one or the break up of a close relationship. Most people have some degree of soul loss. In your healing session Simon will work to assist you to reconnect with these lost soul parts. When your spirit returns you will once again feel joy and inner peace. You will feel totally present in each moment. Simon has also written a book about Shamanic Healing. To order a copy please go to the Books page. In the healing session Simon will project harmonious sound into your body to help your body release physical and emotional pain. As the sound flows through your body you will experience a feeling of deep relaxation. Simon uses different sounds to balance the physical body, the emotional body and the mind. 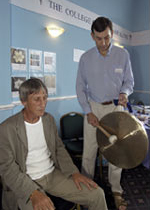 Simon also uses instruments such as gongs, tuning forks and Tibetan bowls to assist with the healing process. Most people feel a deep sense of inner peace at the end of a sound healing treatment. Simon has also written a number of books about Sound Healing. To order a book please go to the Books page. BARRY AND SARA - “The healing you gave us has made a miraculous difference to our lives. Thank you.”"
Private sessions are held at Simon's home in Cheltenham, Gloucestershire. If you would like to book a private session with Simon please contact him on 01242 230 904. Cost - £40 for a one hour session and £50 for an hour and a half session.